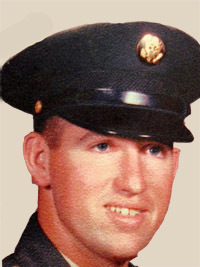 Private First Class Clive Vere Mosier was born on January 3, 1943 in Campbell, Missouri to Mr. and Mrs. John Mosier of Chelsea, Michigan. Clive was employed as a foreman with Seller's Construction Company before entering the Army on September 1, 1966. According to his wife, "he was known as "Buster" by all his family and friends. Clive loved baseball. His favorite foods were chocolate chip cookies and fried chicken. He sent a picture of him holding a little Vietnamese girl. He said in his letter, 'Honey, I miss you greatly, but these people need us. No one else will help them. We have too.'" 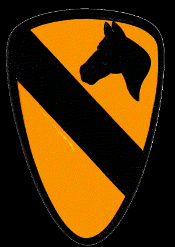 Private First Class Mosier began his tour of duty in Military Region 3, South Vietnam on February 16, 1967 serving as an infantryman with B Company, 5th Battalion, 7th Cavalry, 1st Cavalry Division. Clive was killed on April 24, 1967 as a result of an explosive device. Clive Vere Mosier is survived by his wife, parents, and four brothers. He lived 24 years, 3 months and 21 days. He is resting in Arborcrest Cemetery in Ann Arbor, Michigan. Clive's name is listed on the Vietnam Memorial in Ypsilanti Township under Ann Arbor. His name also appears on the Vietnam Memorial in Washington, DC on Panel 18E Line 080.